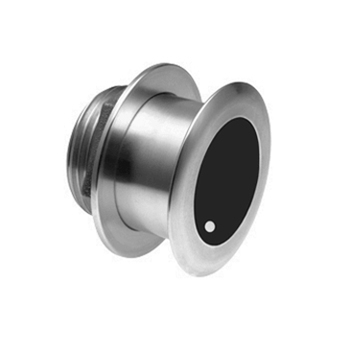 Navico's XSONIC SS175 Stainless Steel Low Frequency CHIRP Transducer is designed for Fiberglass and Wood Hulls with a Deadrise of 0°-7°. Depth and Temp, 9 Pin XSONIC Black Connector. Compatible with Simrad NSS Evo3 and Lowrance HDS Carbon Units. The SS175L is a single-frequency LOW CHIRP Stainless Steel Thru-Hull Transducer offering exceptional detail and coverage in Deep Water.